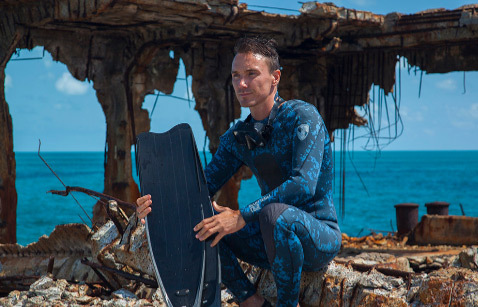 Shark Heroes I: Rob Stewart - We Love Sharks! Shark Heroes I: Rob Stewart - We Love Sharks! The life and times of Rob Stewart (December 28, 1979 – c. January 31, 2017), his revolutionary documentary, works in progress and his final mission. Our Shark Heroes number I spot goes to none other than Rob Stewart (December 28, 1979 – c. January 31, 2017). Rob Stewart was an award-winning Canadian photographer, filmmaker and conservationist. Undoubtedly, he is best known as the brain behind the documentary films Sharkwater, and Revolution. He was born in December 1979, in Toronto, Ontario, where he was raised. Rob Stewart developed a passion for photography at a young age and by the time he was 13, he began underwater photography. Five years later, he became a scuba diving instructor/trainer and later went on to earn a Bachelor of Science degree in Biology. He studied in Ontario, Jamaica, and Kenya. Bachelor’s degree in Biology from the University of Western Ontario. He also studied Zoology and Marine Biology in Kenya and Jamaica. Stewart worked for four years as the chief photographer for the Canadian Wildlife Federation’s magazines, and as a freelance journalist. In the course of his extensive travels worldwide, he led many expeditions to some of the most remote areas imaginable. He also began winning awards for his journalism with his images being highly sought in different media forms. Incidentally, it was an observation during this time that caught his attention and probably changed the course of his life. While working on an assignment to photograph sharks in the Galapagos Islands, Ecuador, Stewart discovered illegal longlining. They were killing sharks within the marine reserve for their fins. His first attempt to raise public awareness through print media failed: people didn’t respond. He then decided to make a film to create awareness about sharks. At the young age of 22, he quit his job and embarked on a life-changing and epic journey. He was able to study and film sharks, and he went undercover several times to confront the shark fin industry. Four years and 12 countries later, the result was Sharkwater. Sharkwater is widely recognized as the most intensive and successful conservation story of all time. Resulting in the banning of shark finning worldwide. Below is the official trailer for Sharkwater. Best Documentary and the Audience Favorite Award Fort Lauderdale International Film Festival (2006). People’s Choice Award Atlantic Film Festival (2006). Audience and Best Feature awards at the Gen Art Film festival (2007). Special Jury Award Hawaii International Film Festival (2006). Toronto International Film Festival “Canada’s Top Ten” Award. Environmental Vision award (2008), and so on. He also won 19 awards for a 2012 production called Revolution. Revolution focused on environmental collapse and it held the position of the highest grossing Canadian documentary (2013). Stewart also wrote two award winning books. They are Sharkwater: An Odyssey to Save the Planet, and Save the Humans. Rob Stewart was on the board of several conservation groups such as: WildAid, Shark Savers, Shark Free, Shark Research Institute, and the MEGA Global Initiative (a NASA program). In addition, he appeared on numerous high profile TV shows all in his tireless commitment to save as many sharks as possible. Some of these shows include: Larry King Live, BBC1, The Today Show. Others were the Tonight Show, The Late Show, Access Hollywood, Bloomberg, ET Canada, etc. The Grid Magazine 2011 survey, saw him being voted as the top living resident for making Toronto a better place. Below is a video of one of the many interviews he granted. Never one to rest on his oars, Rob Stewart quickly launched a Kickstarter in 2016 to fund his latest project, Sharkwater: Extinction. 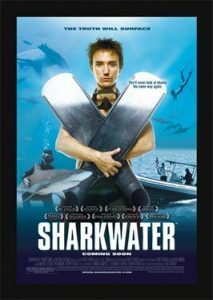 It was to be another sequel to Sharkwater this time focusing on the circa 80 million sharks that people kill annually but scientists can’t account for. Sadly, he was still working on this film at the time of his death. Stewart and his team were in Florida filming for Sharkwater: Extinction in late January 2017. Specifically, on the 31st of January, he and his dive partner, Peter Sotis, resurfaced from a deep wreck dive of the Queen of Nassau south of Key Largo. They were searching for the elusive sawfish. This animal has the body of a shark but a beak that resembles a chainsaw. They had both gone down using rebreathers. The divers went down thrice searching for this shark: reports say this was Stewart’s deepest dive ever though he was a highly experienced diver. By the time they surfaced the third time, his dive partner fell unconscious while boarding the waiting boat and in the commotion to revive him, the rest of the crew took their eyes off Stewart who was visible but still in the water at the time. By the time they turned back, Stewart had vanished into the depths. A search was launched, and his body was eventually recovered 72 hours later and 300 feet from his last known position at the bottom of the ocean floor. At the 5th Canadian Screen Awards on March 12, 2017, the Academy of Canadian Cinema and Television announced it would rename its annual award for Science or Nature Documentary Program. Henceforth, it becomes the Rob Stewart Award in Stewart’s memory. “You’re told your whole life since you were a kid, sharks are dangerous. You’re warned not to go adventuring too far out into the ocean, but then finally – you see the thing you were taught your whole life to fear, and it’s perfect, and it doesn’t want to hurt you, and it’s the most beautiful thing you’ve ever seen. And your whole world changes.” – Rob Stewart.